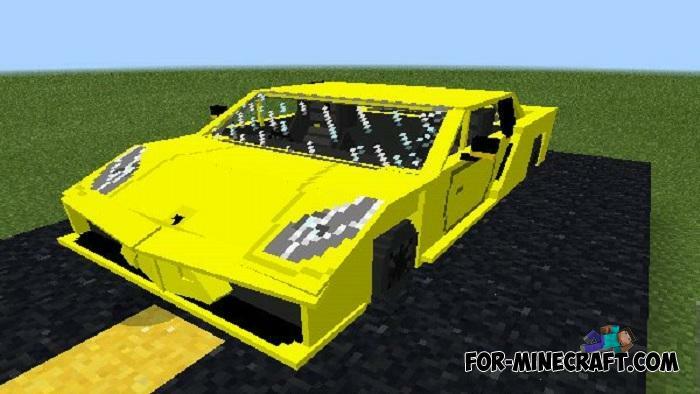 Fernancraft, one of the main auto engineers in Minecraft PE has created an excellent copy of Lamborghini that can be yours. 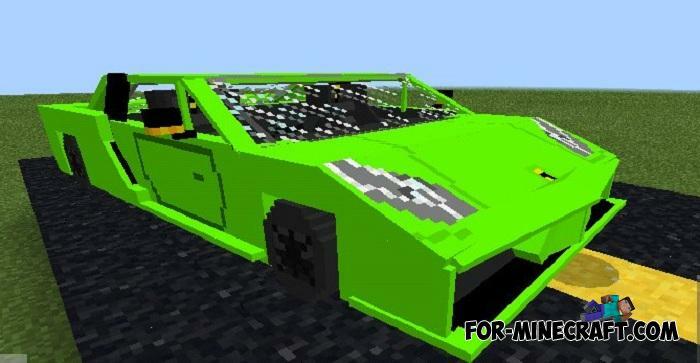 The addon, like many other car addons, adds one sport car in 9 different colors. This means that you can keep at least all the cars in your garage at once for any day of the week for any mood. In any weather, just get behind the wheel and press the gas pedal. 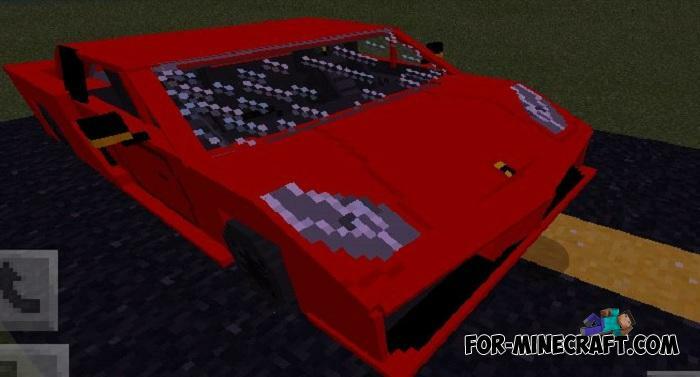 Like the real car prototype, this one looks amazing: while maintaining external similarity both inside and out, it does not lose the cubic and Minecraft style. You do not need anything, go to the lambo and open the door by pressing the Drive button. After that you will feel the speed exceeding any living creature. 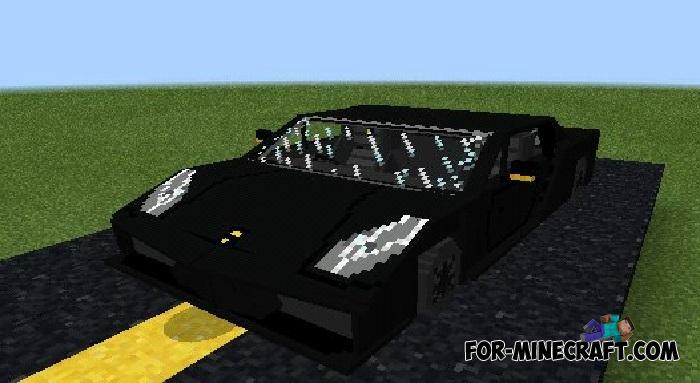 How to install the Gallardo Addon?